Why Should Christians Worship the Dead? 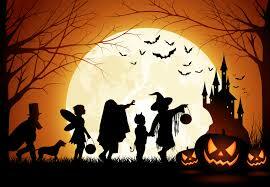 On Saturday, October 31st, the world would be engulfed in the celebration of Halloween. This ancient pagan custom was brought into the Christian church as a result of the amalgamation of Christianity and paganism in the fourth century under Emperor Constantine. The Roman church, the offspring of that amalgamation, continues to venerate this practice, and the day following, All Saints Day. The entire festival is dedicated to worshiping the spirits of the dead--an activity which the God of Creation fervently abhors and warns against (Deuteronomy 18:10-12). Yet untold numbers who call themselves Christians, celebrate this pagan ritual which every witch, clairvoyant, wizard, and spirit medium regard as the most outstanding event of the year. In the process, Halloween has virtually obliterated one of the most significant events of salvation history. It was on October 31, 1517 that Martin Luther nailed his 95 theses on the door of Wittenberg Cathedral in Germany. He was protesting the un-Biblical teachings and practices of the Roman Catholic church which are still dearly held today. He started a movement that led untold millions out of the darkness of popery into the light of God's marvellous grace. Rather than imbibing in this satanic practice, shouldn't Christians be protesting and seeking a closer walk with Jesus? Here are the reasons why Christians should not celebrate Halloween. 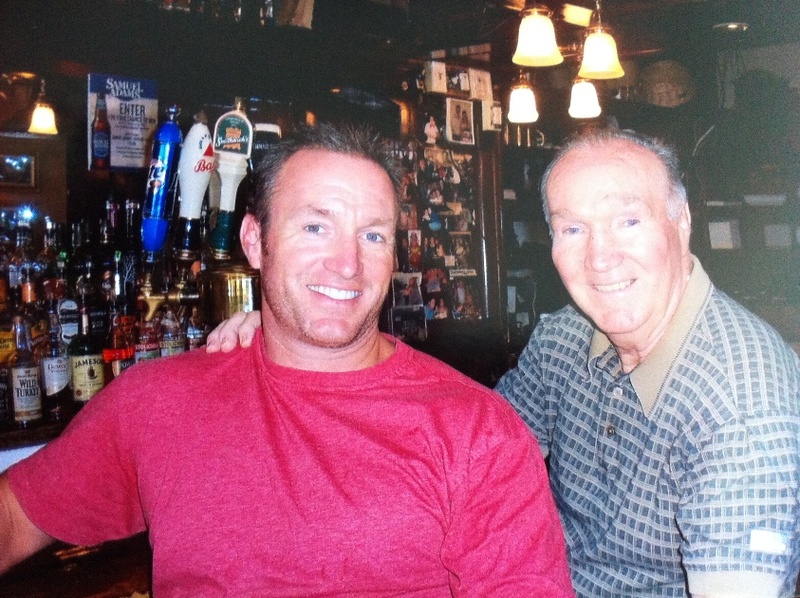 Glen Doherty with his father Ben, family photo via WCVB-TV. Tony Blair has finally said sorry for the Iraq War – and admitted he could be partly to blame for the rise of Islamic State. The extraordinary confession by the former Prime Minister comes after 12 years in which he refused to apologise for the conflict. Blair makes his dramatic ‘mea culpa’ during a TV interview about the ‘hell’ caused by his and George Bush’s decision to oust Saddam Hussein. In the exchange, Blair repeatedly says sorry for his conduct and even refers to claims that the invasion was a war ‘crime’ – while denying he committed one. He replies: ‘I apologise for the fact that the intelligence we received was wrong. Challenged that the Iraq War was ‘the principal cause’ of the rise of Islamic State, he said: ‘I think there are elements of truth in that. 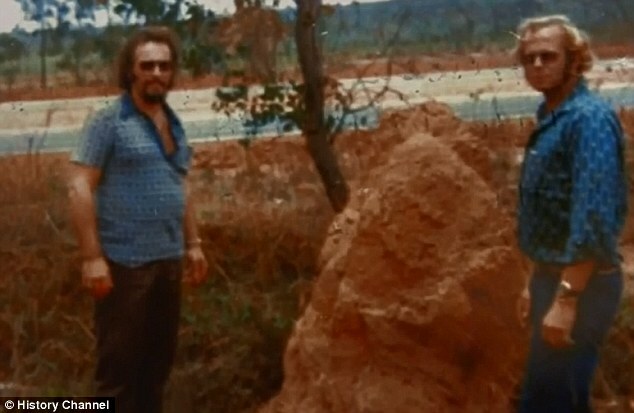 Two brothers who escaped Alcatraz half a century ago survived the attempt and not only married and had children after embarking on new lives in Brazil - but may still be alive, their nephew claims. Bank robbers Clarence and John Anglin made it off the prison island in 1962 after digging a tunnel out of their cells with teaspoons and throwing themselves into the treacherous waters of San Francisco Bay in a makeshift dinghy. The FBI had maintained the brothers drowned while fleeing 'The Rock' in the middle of the night, along with career criminal Frank Morris. 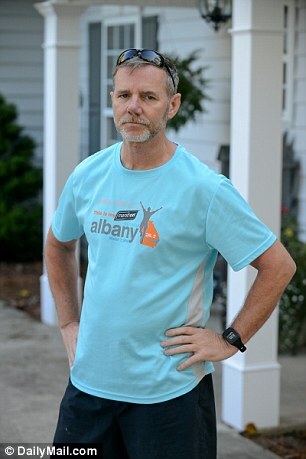 But their nephew Ken Widner, 54, told Daily Mail Online that he is certain his uncles made it to South America - and established family lives there. He spoke out after a History Channel documentary which made public a photo given to his family 20 years ago - and recently forensically analyzed. The family always had a hunch that the daring escape was successful. Speaking at his home in Gainesville, GA, he said: 'The family had always believed that the brothers had gone to South America. It's hard to say how we knew; but we did. 'It was thought some family members knew before Fred Brizzi [a friend of the brothers who claimed to have met them in Brazil in 1975]. The secret was disclosed by Robert Anglin shortly before his death in Ruskin, Florida, in October 2010, aged 84. Ken said he would now love to go to Brazil to track down his uncles Clarence and John, who would now be 84 and 85 respectively. He thinks they could still be alive as other family members have survived into their nineties. 'I hope they are still alive as I would love to meet them and I would love for my mother to see them one last time,' he said. Ken believes Brazil would not extradite the brothers to the U.S. because they married and had children in the country, so becoming residents. So far, no potential relatives in Brazil have reached out to the family. It is, however, the case that Brazilian law on extradition prevents non-nationals who have Brazilian wives or children from being sent abroad for trial without their consent. 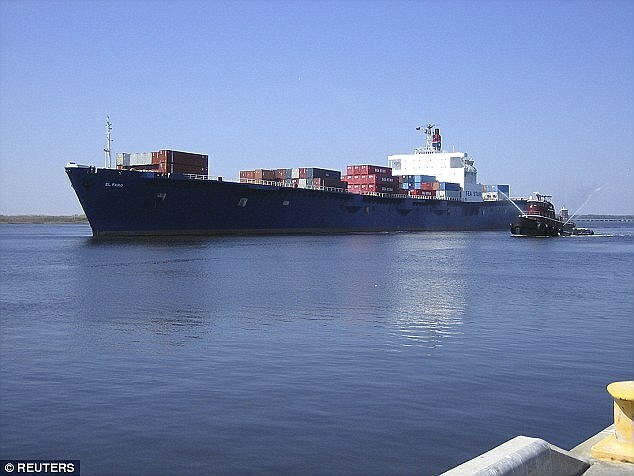 The captain of the US cargo ship El Faro reported 'a hull breach' and said a hatch had blown open before the vessel sank off the Bahamas in a hurricane earlier this month, the National Transportation Safety Board has said. In a recorded satellite phone call Captain Michael Davidson told the ship's owner he had 'a marine emergency' after taking on water in one of the holds, the NTSB said on Tuesday in an update on its two-week-old investigation of the sinking. It said the captain also reported that the 40-year-old ship had lost its main propulsion unit and that engineers could not get it restarted. 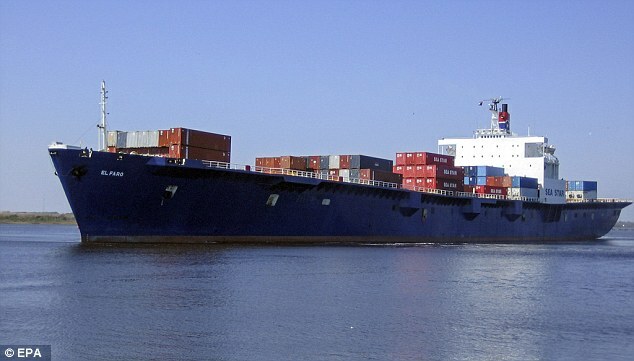 The El Faro and its 33 mostly American crew members disappeared on October 1 after sailing into the path of Hurricane Joaquin while en route from Jacksonville, Florida, to Puerto Rico in the worst cargo shipping disaster involving a US-flagged vessel since 1983. 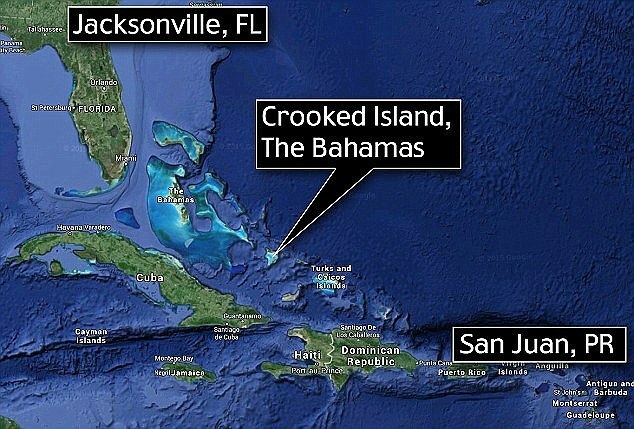 The crew, which vanished just north of Crooked Island in the Bahamas, consisted of 28 Americans and five Polish nationals aged between 23 and 54. The ship's owner, New Jersey-based Tote Inc, has previously said the loss of propulsion is likely what doomed the ship as it was engulfed by high seas whipped up by Joaquin. 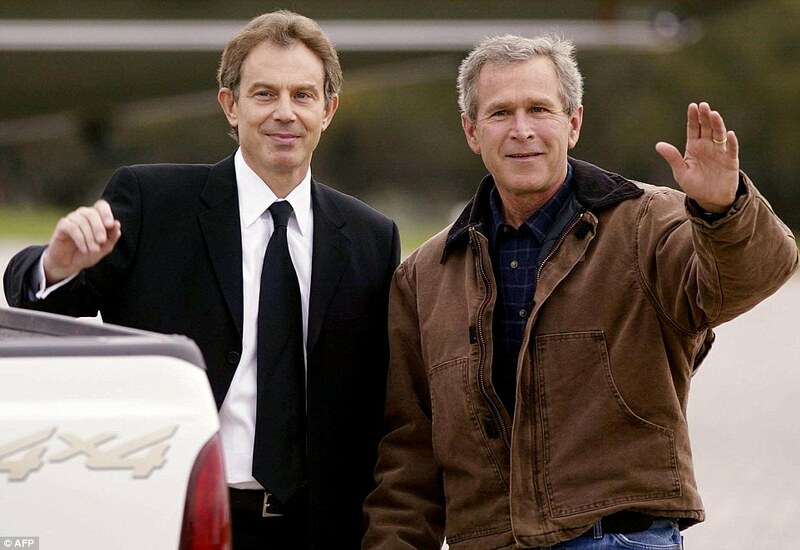 A bombshell White House memo has revealed for the first time details of the ‘deal in blood’ forged by Tony Blair and George Bush over the Iraq War. It flies in the face of the Prime Minister’s public claims at the time that he was seeking a diplomatic solution to the crisis. Has the Biblical city of Sodom been found? After decades of excavations, researchers believe they have finally found the ruins of the Biblical city of Sodom. Experts investigating the region of Tall el-Hammam in Jordan believe the remains of a 'monstrous' Bronze Age city match the Biblical description of the city destroyed by God. 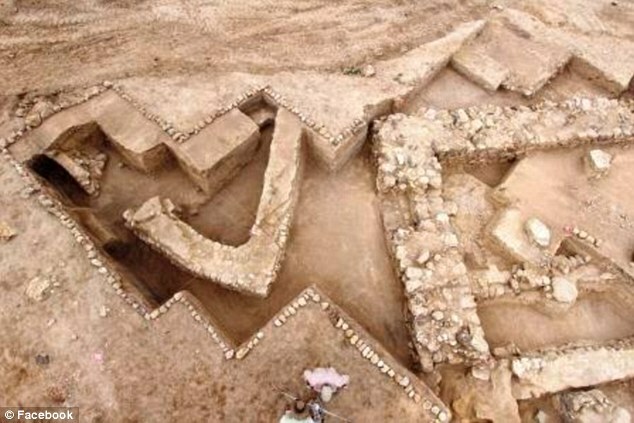 Not only would the site have been the largest city in the region, as described in the Bible, it is situated to the east of the River Jordan, dates back to between 3500 and 1540 BC and is thought to have been suddenly abandoned. Ancient walls upto 10m high and gates have been uncovered at Tall el-Hammam in Jordan, where some researchers believe the remains of a 'monstrous' Bronze Age city match the Biblical description of Sodom, the city destroyed by God. The destruction of Sodom, along with Gomorrah was recorded in numerous parts of the Bible, including Genesis and the New Testament, as well as in the Qur'an. The Old Testament story describes how God destroyed the 'wicked sinners' of Sodom with fire and brimstone but allowed Lot, the city's one good man, to flee with his family. Both cities have been used as metaphors for vice and homosexuality. The majority of references made about Sodom and Gomorah appear in the Book of Genesis. The two locations were kingdoms situated on the Jordan River plain, just north of where the Dead Sea is now located, and are described in the bible as being plush, green and well-watered. In particular, Sodom is one of the largest cities east of the Jordan referred to throughout the Book of Genesis and the New Testament. It is described as being situated on a common trade route, and due to its size, it was said to have been heavily fortified with towers and tall, thick walls. In the Bible, Sodom was said to have been destroyed by God after his angels failed to find righteous men within its walls. The appeasement of evil has sunk to new levels with the stunning nuclear agreement with Iran. Be warned: Terrible times lie ahead. 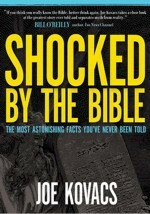 These developments touch on Bible prophecy in a number of ways. It would surprise many to learn that the tiny state of Israel and the Jewish people around the world do not constitute all the physical nation of Israel. As explained in our free study guide The United States and Britain in Bible Prophecy , the ancient nation of Israel was split into two kingdoms —the northern kingdom of Israel and the southern kingdom of Judah. The Jews are descendants of those of the southern kingdom. The tribes of the northern kingdom were taken captive by the Assyrians and later migrated into northwestern Europe. Among these, the descendants of the patriarch Joseph eventually formed the nation of Britain and the other nations that sprang from it, including the United States of America. God had foretold blessings and national greatness for these nations. But He also warned of curses that would come on them for disobedience (see Leviticus 26 and Deuteronomy 28). For instance, God stated: “I will break the pride of your power” (Leviticus 26:19). America remains the strongest and most powerful nation in the world. But its resolve on the world scene has severely waned. The second Monday in October is designated in the United States as Columbus Day. This day commemorates Christopher Columbus' first voyage and sighting of the Americas on October 12, 1492. However, Columbus Day as a federal holiday was not officially recognized until 1937. The first recorded ceremony commemorating Columbus in America occurred in 1792, 300 years after his famous first voyage in 1492. To honor Columbus, a ceremony was held in New York, and a monument was dedicated to him in Baltimore, Maryland. In 1892, a statue of Columbus was raised at Columbus Avenue in New York City. Further, at the Columbian Exposition held in Chicago that year, replicas of Columbus' three ships were displayed. Italian-Americans were key in the creation of Columbus Day. Beginning on October 12, 1866, New York City's Italian population organized a celebration of the 'discovery' of America. This yearly celebration spread to other cities and became known as Columbus Day in San Franciscoin 1869. Colorado became the first state to observe an official Columbus Day in 1905. Over time other states followed until 1937 when President Franklin Roosevelt proclaimed every October 12 as Columbus Day. In 1971, the federal holiday was officially changed by Congress to be observed on the second Monday in October. Don't Fear Putin and Russia - FEAR EUROPE and ISIS! Armstrong made these predictions in 1959 when I was only 4 years old! 1) a "United States of Europe" would form in central Europe, comprising more than 250 million people; a huge industrial, economic and military power which would eventually challenge the United States; that a 10-nation combine would form which would fulfill the Bible prophecy of the "Beast" which would fight Jesus Christ at His return. The PLAIN TRUTH, June, 1952, p. 11: "The 10 `horns'...in the 17th chapter [of the Book of Revelation] ...will be...the revival of the BEAST, the Roman Empire, `out of the bottomless pit,' by a `United States of Europe,' or federation of 10 European nations within the bounds of the old Roman Empire" (that includes such nations as mentioned above, in eastern Europe!). 2) That Germany would reunite (unthinkable in the 1950's:) The PLAIN TRUTH, October, 1964, p. 48: "Germany—A UNITED GERMANY with her former territories restored—is ready to emerge as the strongest nation on earth at the head of a revitalized...Europe! 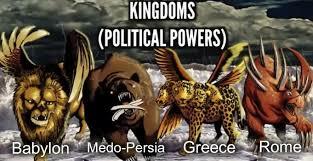 The power colossus is then going to deal a death blow to the United States and Britain..."
CHINA is mentioned in end time prophecies as these “kings of the east”? Yes, Russia will not be the threat that many fear today. Russia is a backward 3rd world nation that doesn't have the ability to be a true world power. The world powers to come are those predicted by God in His Bible.... namely: The United States of Europe and the United States of Islam- the kingdoms of the North and the South, whose world war will eventually bring the world near total destruction, just before the return of Jesus Christ to save us from OURSELVES... You can bank on it. A former CIA director withheld information about President John F Kennedy's assassination, according to declassified agency reports. The CIA reports, which were declassified last fall, claim that then-agency head John McCone and other top officials were part of a 'benign cover-up' surrounding the assassination of Kennedy in November 1963. The report's author, CIA historian David Robarge, claims McCone withheld information to keep the Warren Commission focused on what the agency believed to by the 'best truth… that Lee Harvey Oswald, for as yet undetermined motives, had acted alone,' according to Politico. McCone and others were 'complicit' in keeping 'incendiary' information from the Warren Commission, a group established in the days after Kennedy's assassination by President Lyndon B Johnson to investigate the incident. The investigators were officially known at the President's Commission on the Assassination of President Kennedy. McCone, who was appointed by Kennedy, died in 1991. 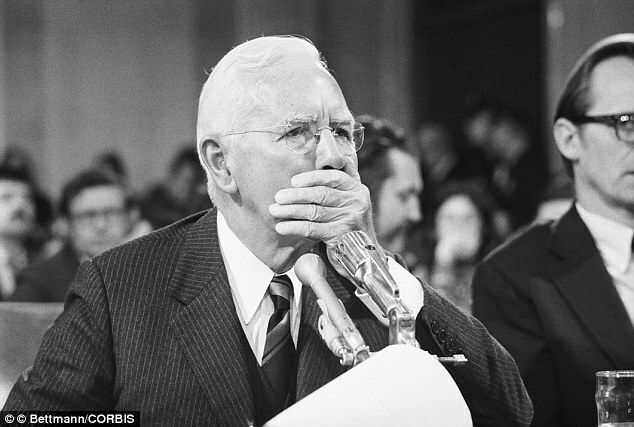 His testimony in front of the commission, including Chief Justice Earl Warren, was considered vital in finding out what led to Kennedy's death. The former CIA head concluded in his assessment that Oswald, a former Marine, was a 'lone gunman' who acted on his own. The Warren Commission's final report - after a year-long investigation that included testimony from hundreds of other witnesses - was consistent with McCone's assessment. It's about time we face The Plain Truth: Big Business today runs like the mafia! Lie, cheat and KILL! 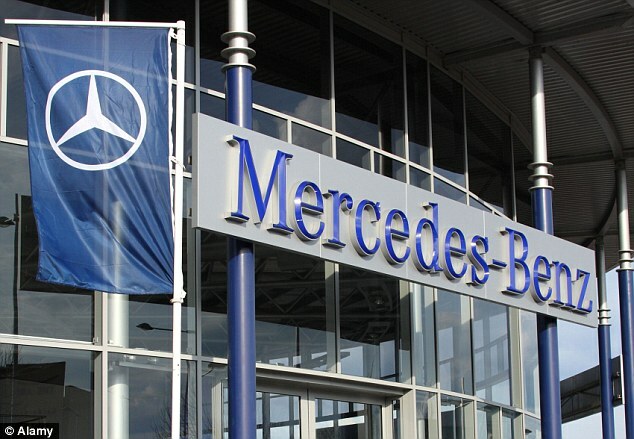 Mercedes-Benz, Honda, Mazda and Mitsubishi are producing cars which emit far more pollution on the road than they do in a lab, according to new tests. The four car giants join Volkswagen on the growing list of companies whose diesel vehicles passed the EU's official regulatory test in a laboratory setting, but fail to meet them in realistic driving situations. On average, Emissions Analytics found the diesel vehicles they tested were four times the legal limit for nitrogen oxide (NOx). Why did missing cargo ship sail straight INTO Hurricane Joaquin? UPDATED!!! The wife of one of missing cargo ship El Faro’s crewmembers has demanded to know why the beleaguered vessel set sail and why it did not re-route out of the path of Hurricane Joaquin. Speaking exclusively to DailyMail Online from her home in Jacksonville, Florida, Rochelle Hamm, 44, revealed her confusion at the captain’s decision but told of her absolute faith that her husband and the rest of the crew were still alive and would be returned safely. She revealed that Tote Maritime executives are standing by 53-year-old Captain Michael Davidson’s decision to set out in what was then categorized as a Tropical Storm. 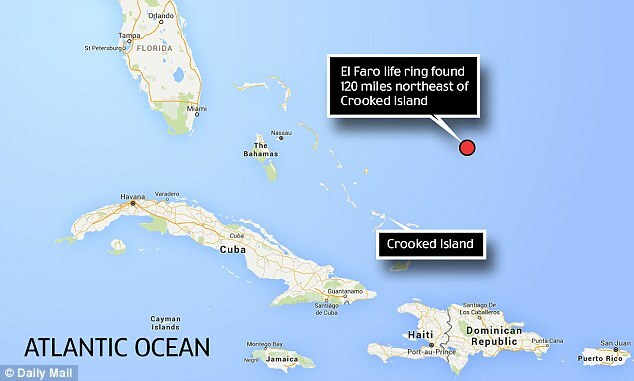 Tote Maritime reported on Saturday that a life ring from El Faro was found was 120 miles northeast of Crooked Island. That's about 70 miles northeast of the last known position of the El Faro before it lost contact with authorities with 33 people on board. Coast Guard Chief Petty Officer Ryan Doss says the crew of a C-130 airplane spotted the life ring Saturday and a helicopter crew confirmed it was from the El Faro. Though the release also states that the discovery of the life ring is in so way indicative of the ship's fate and that of the crew, icluding Frank Hamm, on board. Mrs Hamm, a data entry clerk for the Federal government, has been married to husband, Frank, for 18 years and the couple have five children and three grandchildren. Tuesday, Sept. 29: El Faro, with a crew of 33 and a cargo that included cars and retail goods, departed Jacksonville, Florida for San Juan, Puerto Rico. As of 5am that day, then-Tropical Storm Joaquin had maximum wind speeds of 40 mph and its center was located about 385 miles northeast of the central Bahamas, according to the US National Hurricane Center. Thursday, Oct. 1: TOTE Maritime Puerto Rico, the ship's owner, loses all communication with the El Faro after the crew reported losing power and taking on water as the ship is passing near Crooked Island in the southeastern Bahamas. Hurricane Joaquin is now a Category 3, with maximum sustained winds of 120 mph with higher gusts. The hurricane-force winds extended 35 miles out from the center. The center was 10 miles north of Samana Cay in the southern Bahamas. Friday, Oct. 2: The US Coast Guard deploys the cutter Northland, an MH-60 Jayhawk rescue helicopter crew that was based in Great Inagua, Bahamas and HC-130 Hercules airplanes from Coast Guard Air Station Clearwater, Florida, to search for the El Faro. They find no trace of the ship. Saturday, Oct. 3: The Coast Guard says it found a life ring from the El Faro about 120 miles northeast of Crooked Island. US Navy and Air Force planes and vessels hired by the owner of the El Faro also assist in the search. Sunday, Oct. 4: The Coast Guard says it found a large debris field that appears to include material that came from the ship and a sheen of oil on the surface of the sea. The company says it found a container that came from the ship. Monday, Oct. 5: The Coast Guard says it determined that the ship sank. It reports finding the body of one crew member and an empty life boat. Will He Be the Next President? 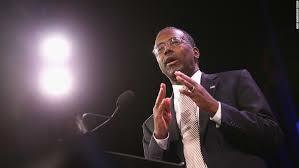 Dr. Benjamin Carson soars in the polls despite the fact that he continues to make politically incorrect statements. As a political outsider, he seems to be striking a cord with the electorate, particularly on the Republican Right. His positions on the so-called 'hot button' issues ever so often put him at odds with the mainstream of his party. Recently, his Seventh-day Adventist religion has been coming under scrutiny. His religion, like his politics, has been deemed out of the main stream. Many are asking, will his religion help or hurt his presidential ambitions? Find out more about his religion. People are looking for answers to the multitude of problems that confront them.The Bible predicts that the whole world would be following what it refers to as the beast (Revelation 13:3). Ideas about the beast and its mark vary from some sinister individual who will arrive and wage war on God's people to a literal beast that would somehow cause the whole world to wonder after it. Whatever the beast is, the God of Creation has issued some stern warnings against it and receiving its mark. John the Revelator writes,"And the third angel followed them, saying with a loud voice, If any man worship the beast and his image, and receive his mark in his forehead, or in his hand,The same shall drink of the wine of the wrath of God, which is poured out without mixture into the cup of his indignation; and he shall be tormented with fire and brimstone in the presence of the holy angels, and in the presence of the Lamb"
It is rather crucial, therefore, that everyone knows what the beast truly is. Here is the proof. There is far more meaning and deep spiritual significance to the Feast of Tabernacles than many have ever realized! In this article we explore the deeper, hidden meanings to this Festival of God -- the Feast of Sukkoth -- also called the "Feast of Ingathering" -- and the little understood rituals, laws and commandments that were commanded for this annual Holy Festival -- Ha Hag Adonai -- "The Feast of the Lord"-- also called Zeman Simchateinu -- "the Season of our Joy"! What is "sukkot" all about? What about all the sacrifices? And what is the "lulav" and why is it important? Here is vital new spiritual TRUTH! I have been observing the "Feast of Tabernacles" ever since I first proved that the annual holy days of God are still in operation and in force, in our "Christian" age -- since 1958 -when I observed my first Feast of Tabernacles in Big Sandy, Texas, as a high school student. Since that time, I have observed 40 Feasts. I first learned of the Feast of Tabernacles from Herbert W. Armstrong, from reading his booklet entitled God's Festivals or Pagan Holidays -- Which? In the many sermons I have heard since that time at and regarding the Feast of Tabernacles, the stress was always on the concept that this festival of God portrayed the millennial reign of Christ -- the "Kingdom of God" -- upon the earth. It was looked upon as the "fall harvest" also -- the great end-time harvest of souls for the Kingdom of God when "all Israel shall be saved" (Rom.11:26). The concept of why God's people were commanded to "dwell in booths" -- sukkoth -- temporary structures -- during the seven days of the Feast, was never explained, or what such "booths" had to do with the millennial reign of Christ! Nevertheless, we observed the Feast -- enjoyed a plethora of sermons, and feasting, eating in fancy restaurants, travel to exotic locations, and glorious fellowship with God's people. It was always a most enjoyable and enriching experience, something looked forward to every year. However, in the past few years, as I have studied the festivals of God more closely, I have discovered that the old ideas, concepts, and explanations of the Worldwide Church of God, and its many off-shoots, today, have left much to be desired concerning the meaning, symbolism, and rituals connected with this important Festival of God. Let us go back to the original commandment concerning this festival, and see what has been missed, completely ignored and totally overlooked! We read in Leviticus 23 concerning the Feast of Tabernacles, the following statements: "And the LORD spake unto Moses, saying, Speak unto the children of Israel, saying, The fifteenth day of this seventh month shall be the feast of tabernacles for seven days unto the LORD. On the first day shall be an holy convocation: ye shall do no servile work therein. Seven days ye shall offer an offering made by fire unto the LORD: on the eighth day shall be an holy convocation unto you; and ye shall offer an offering made by fire unto the LORD: it is a solemn assembly; and ye shall do no servile work therein" (Lev.23:33-36). Additional instruction in observing God's festival is given in verses 39-43 of this chapter -- verses which have generally been ignored and overlooked, and never explained. Notice what these verses add to the festival commandment! "Also in the fifteenth day of the seventh month, when ye have gathered in the fruit of the land, ye shall keep a feast unto the LORD seven days: on the first day shall be a sabbath, and on the eighth day shall be a sabbath. And ye shall take on the first day the boughs of goodly trees, branches of palm trees, and willows of the brook; and ye shall REJOICE before the LORD your God seven days. And ye shall keep it a feast unto the LORD seven days in the year. It shall be a STATUTE FOR EVER in your generations: ye shall celebrate it in the seventh month. Ye shall dwell in booths seven days; all that are Israelite born shall dwell in booths: That your generations may know that I made the children of Israel to dwell in booths, when I brought them out of the land of Egypt: I am the LORD thy God" (Lev.23:39-43). In the 30 years I observed the Feast of Tabernacles in the Worldwide Church of God, from 1958 to 1987, we were never told about the command to take boughs of goodly trees, branches of palm trees, and willows of the brook, and to use them in rejoicing before the LORD; nor were we told how the Feast of Tabernacles relates to the journey of the Israelites as they came out of Egypt, and dwelt in the wilderness for forty years, living in "booths" or temporary structures, or tent-like portable dwellings. This aspect of the Feast was totally overlooked! The next mention of the Feast of Tabernacles in the Scriptures occurs when Solomon dedicated the newly-constructed Temple of God during his reign. The Temple was dedicated in 1004 B.C., exactly 1000 years before the birth of Jesus Christ, the true living "Temple of God" (John 2:19-21; Eph.2:21-22; 4:15-16). "And all the men of Israel assembled themselves unto king Solomon at the feast in the month Ethanim, which is the seventh month" (I Kings 8:2). "And at that time Solomon held a feast, and all Israel with him, a great congregation, from the entering in of Hamath unto the river of Egypt, seven days and seven days, even fourteen days. On the eighth day he sent the people away: and they blessed the king, and went unto their tents joyful and glad of heart for all the goodness that the LORD had done for David his servant, and for Israel his people" (I Kings 8:65-66). Notice! They enjoyed the Feast of Tabernacles, the feast of the seventh month, so much that they kept it for double the commanded time -- fourteen days, instead of just seven! The chronicler explains, "for they kept the dedication of the altar seven days, and the FEAST seven days. And on the three and twentieth day (the day after the "eighth day") of the seventh month he sent the people away into their tents, glad and merry in heart for the goodness that the LORD shewed unto David, and to Solomon, and to Israel his people" (I Chron.7:8-10). The Feast was also kept in the days of king Hezekiah (II Chron.31:3). Finally, in the time of Ezra and Nehemiah, we read, "They kept also the Feast of tabernacles, as it is written, and offered the daily burnt offerings by number according to the custom, as the duty of every day required" (Ezra 3:3). This observance occurred after the return of many Jews from Babylon back to Jerusalem and the land of Israel. Ezra, a righteous scribe of God, gathered the people and read to them from the law of God (Nehemiah 8:1-8) on the first day of Tishri, or the Feast of Trumpets (Ezra 8:2). On the next day, as the people were gathered to learn more of the laws of God, "they found written in the law which the LORD had commanded by Moses, that the children of Israel should dwell in booths in the feast of the seventh month: And that they should proclaim in all their cities, and in Jerusalem, saying, Go forth unto the mount, and fetch olive branches, and pine branches, and myrtle branches, and palm branches, and branches of thick trees, to make booths, as it is written. So the people went forth, and brought them, and made themselves booths, every one upon the roof of his house, and in their courts, and in the courts of the house of God, and in the street of the water gate, and in the street of the gate of Ephraim. And all the congregation of them that were come again out of the captivity made booths, and sat under the booths: for since the days of Joshua the son of Nun unto that day had not the children of Israel done so. And there was very great gladness. Also day by day, from the first day unto the last day, he read in the book of the law of God. And they kept the feast seven days; and on the eighth day was a solemn assembly, according to the manner" (Neh.8:14-18). Here again the Feast of Tabernacles is described -- and the statement is made that the festival had not been observed in this manner, with the construction of booths, since the days of Joshua himself! Truly, in the days of Ezra, there was a turning back to observe the laws of God among the people, and much more attention was given to proper and correct observance. Nevertheless, many of these features of the Feast, as observed in modern times, have also been neglected by thousands of God's people. How many literally build "booths" to sit in, to discuss matters within, to fellowship in? How many use the branches of various kinds of trees to do so? How many take various branches, and wave them before the LORD, in rejoicing and worshipping Him? How important are these things? What do they add to our over-all understanding? 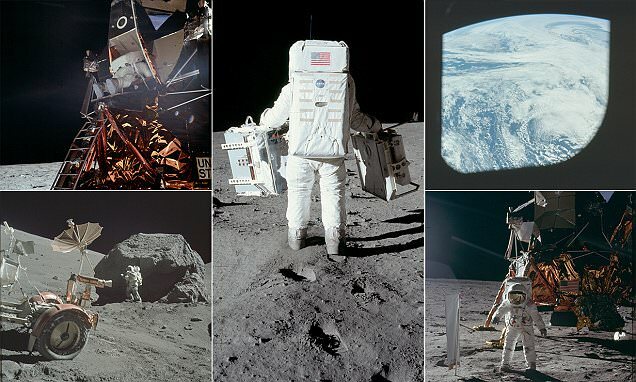 How much have we missed, by not observing these things circumspectly, and thoroughly? Let's begin to understand! Let's begin to get it right!